These children's bedroom designs come from Twitter user @_hitorigurashi, who specializes in stylish and inventive interior designs. 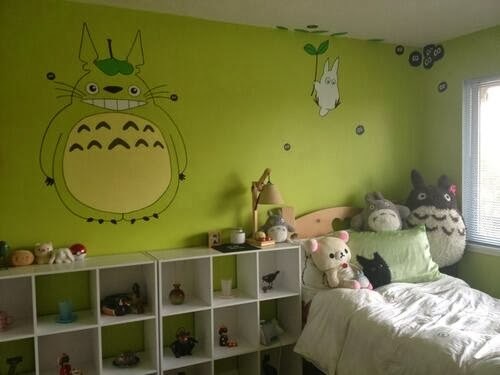 In these two photos, bedrooms are given a My Neighbor Totoro makeover. The green-painted walls are proving to be popular on Ghibli Blog's twitter feed. Very impressive! 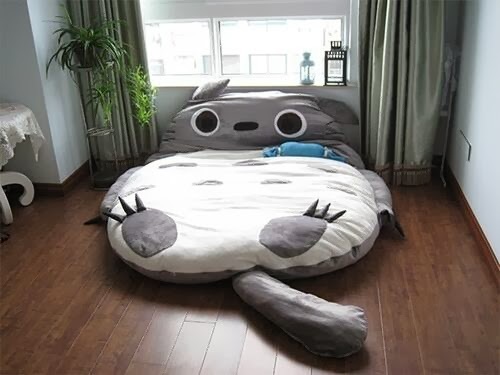 Now all that's needed is a large Catbus for the middle of the room.